You’ve spent $4,000,000 for 30 seconds: What would you say? Which Ad Was the Winner? Can you spot which ad out performed the other? Appealing to the two voices inside your head. Why effective selling messages must communicate on multiple levels. Magical Marketing Pill Exposed. Is the “hot new thing” really the solution you need? Do you suffer from Promophobia? How well do you rate on this six question test? We were in serious trouble, but then I remembered the kitty litter. How a freak snow storm delivered a vital business lesson. The key to a successful marketing program? Learn to bake a cake. How Do You Rate On The Credibility Test? Why the butchers always used to fight over my mom. An enlightened view of customer relationships. You’ve spent $3,000,000 for 30 seconds – what would you say? The violin, the metro station, and your business. How do you increase your profits? Remember the pie. Worried the economy is going down? It’s time to go upscale. Price Cuts: Are You Merely Cutting Your Own Throat? There is a fundamental law that drives the sales success of your business. I had this illustrated to me when I was a nine year old kid. It was early in the fall and my father agreed to take me trout fishing. We got up before dawn, fell into old fishing clothes and made the drive from suburbia to a stream in the woods. I remember racing down to the stream, setting up my pole and line, and casting into the water. And then…nothing. Nothing. Nothing. Later in life, I would have appreciated the beauty of nature. I would have enjoyed the quiet solitude. At nine, I was bored. I was so bored my skin felt itchy and if I didn’t get up and do something, I thought I would explode. In the distance I heard a low rumbling sound. As it approached, I saw a huge truck with a logo that said Department of Fish and Game. It stopped about 100 yards upstream and backed up to the edge of the water. The back opened up and suddenly, thousands of farm-raised, hungry, gullible trout were headed directly towards me. Now I know that a true fishing enthusiast who watches The Outdoor Channel would have turned-up their nose and left. But at nine years old, I suddenly had a new definition of heaven. I caught my limit in less than ten minutes. It had taken more time to get the fish off the hook and into the bucket than it did to get them on the line. It hadn’t mattered what bait I used. I think I could have gotten bites using bits of Hostess Twinkies. You may be thinking that the moral of this story is that it’s easy to catch fish when there are thousands of fish in your stream. While that is true, it is not the moral of the story. The moral is much more basic: I only caught fish when I had my line in the water. The moment I reeled in my line, I stopped catching fish. Sure, it helped to have a gazillion fish coming down the stream. But when I didn’t have my line in the water, I caught nothing. It didn’t matter how many fish were in front of me. Had I given up and gone home before my personal fish fantasy was realized, I would have been eating a McDonalds hamburger instead of fresh caught trout. The same is true for your business. If you don’t have your line in the water, it is very difficult to catch fish. You always need to be marketing your business. Sure there will be some times when things are slow. You may want to give up and go home. Believe it or not, the correct strategy in that case is not to go home, but to become a better fisherman. Change bait. Change locations. Put more lines in the water. If you need to catch fish to eat, you stay focused and try new approaches or starve. If you are in one of those wonderful situations where you are catching fish as fast as you can hook them and land them, be thankful for your good fortune. And, know that the amazing run you are experiencing may not last forever. No matter which condition you are experiencing, you can’t catch fish if your line is not in the water. So here is what you should do: Review the marketing you use for your business. If you are actively marketing for new business, does your program have a systematic process that moves people from being an initial prospect to a customer who buys from you? Does it have a method of continually nurturing people through the selling process? And — even more important — are you keeping that process going continually? Do you have your fishing line in the water? A bit overwhelmed as to where to start? Not sure of the best way to create an effective marketing system? Take a deep breath. There is a simple and proven solution. Give Sentium Strategic Communications a call at (800) 595-1288. We’ll arrange a no-obligation, telephone meeting where we can explore how to make your prospect fishing more effective. Of course, the meeting is free. You’ll pay nothing. But you’ll gain insight in how to improve the effectiveness of your marketing. I look forward to hearing from you. Want to increase the effectiveness of your marketing? Call Sentium to arrange for a free, no-obligation, one hour telephone consultation. (800) 595-1288. We’ll explore how you can get the results you desire.  Click here to get your own Free subscription to Marketing Rocket Fuel. Richard Wilson is the Founder/Chief Marketing Strategist for Sentium Strategic Communications which helps companies craft the right message for extraordinary results. Over the past 32 years, his clients have ranged from start-ups to major technology companies. © 2010 All Rights Reserved. All people who are looking to dramatically boost their business should read this e-zine. Don’t even think about reproducing this document or its contents without written permission from Richard Wilson. But feel free to forward this to all of your friends. For reprint permission, please call 800-595-1288. Privacy | Trademarks Copyright © 2011 Sentium, Inc. All Rights Reserved.